Being pregnant can be an amazing time for mothers-to-be and there’s no reason why you should stop exercising or training during the pregnancy. 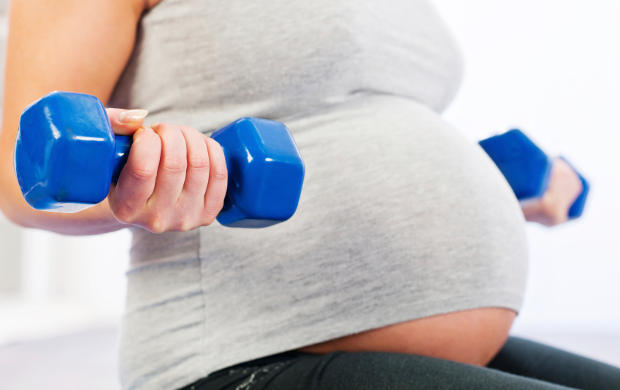 Here are our top tips for staying in shape if you’re expecting. Before you begin exercising, remember that it is important to talk to your doctor. Exercise and pregnancy usually work well together, so they should be able to give you some excellent and specific advice. If you exercised regularly up until your pregnancy, the chances are you can continue what you’re doing, unless your activity is classified as high intensity. However, if you don’t usually exercise, this is still a great time to start and your baby will definitely thank you for it. But be aware of the changes your body is undergoing. Greater ability to handle the discomforts of pregnancy and labour. Easier to get back into shape and regain your normal weight after pregnancy. Faster labour, with less likelihood of induction. More positive, healthier feelings about pregnancy.